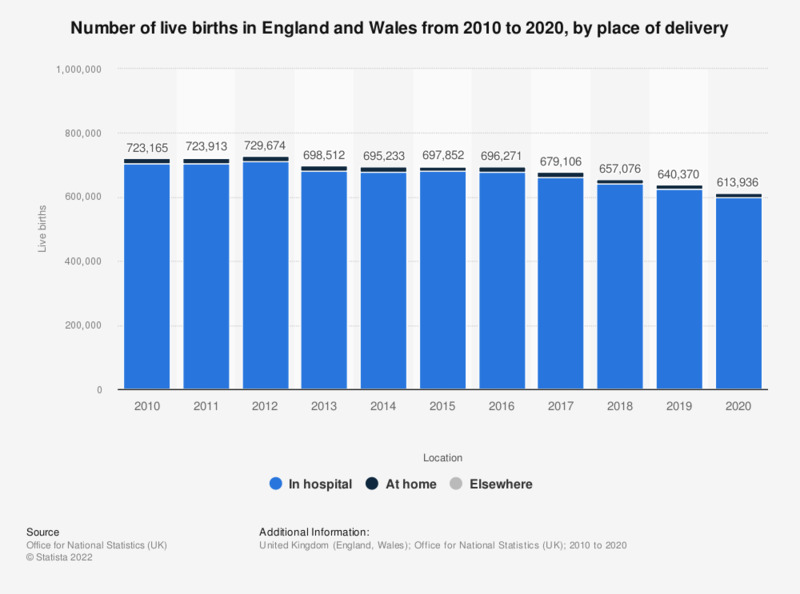 This statistic charts the number of live births in the United Kingdom (UK) 2016, by place of delivery. In 2016 the majority of live births occurred in hospitals. Over 12,000 babies were delivered at home.